Shane Warne has dropped a few selection bombshells. 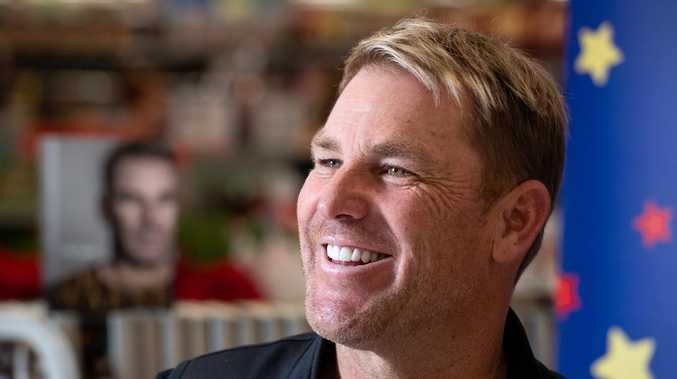 AUSTRALIAN cricket legend Shane Warne has unveiled his Ashes XI for the first Test at Edgbaston in August with the spin king dropping Usman Khawaja and Mitchell Starc. Despite both rocketing back to form against Sri Lanka in the final Test of the summer, Warne said the pair did too little too late to keep their spots. 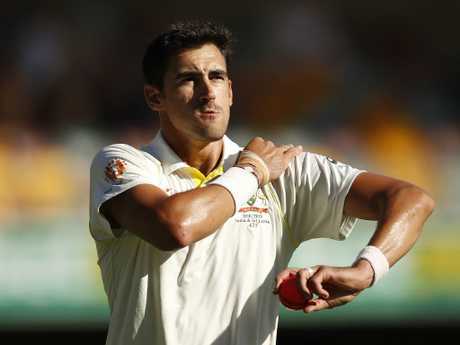 The former spin king has led vicious criticism against Starc throughout the summer. Warne said Starc was struggling throughout the last season. In 2018, the left-armer took 31 wickets at an average of 33.35 and a strike rate of 62.03, but mostly struggled in the Indian series with 13 wickets at 34.54. Warne has been on Starc’s back all summer. Warne led the criticism from the beginning of the summer over Starc, saying he was under pressure from the Adelaide Test against India. 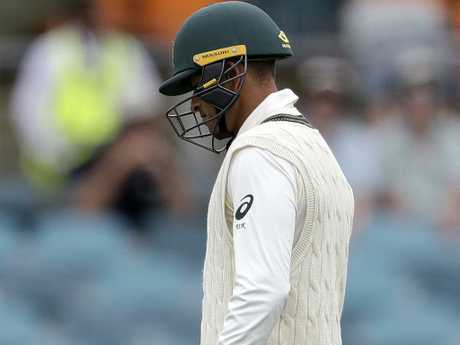 Khawaja has also had a paltry summer with the bat, hitting 209 runs in nine innings at 23.22 throughout the summer before his century in the second Test against Sri Lanka. Khawaja admitted his brother's arrest in December affected his form. Warne has joined calls for selectors not to let the century cover over what had been a dire summer. "The players' performances against the worst Sri Lankan team to tour Australia shouldn't cloud our judgment either. All you can do is beat the opposition in front of you, albeit a very depleted one, and Australia did that comprehensively," Warne said. "But the Test series against India is where the players should be judged." While Warne would pick the pair for the squad, the spin king called for Khawaja to make way for Marcus Harris or Cameron Bancroft at first drop, while Starc would sit out for Jhye Richardson as Josh Hazlewood returns to the side. Khawaja hasn’t done enough according to Warne. He would also rush David Warner and Steve Smith back into the side with Marcus Stoinis making his debut. It would also see Kurtis Patterson and Marnus Labuschagne dropped, with Labuschagne missing Warne's squad altogether. He also picked D'Arcy Short to make the trip as an all-rounder who can bat anywhere in the top six. Meanwhile, England's disastrous tour of the West Indies finally has some better news in the third Test, but Aussie cricket legends are smelling blood in the water. Australia hasn't won an Ashes Series in England since 2001 but will go in with some huge positives. Former Aussie captain Mark Taylor said England are arguably in more trouble than Australia despite the horror show that has engulfed the game since the ball-tampering scandal last March. "Yes there's a little uncertainty about Australia's top order, but part of that is due to the return of the suspended players," he said. "England have had their best players available for the last 12 months and they still don't know what their best order is." Joe Root was not impressed. 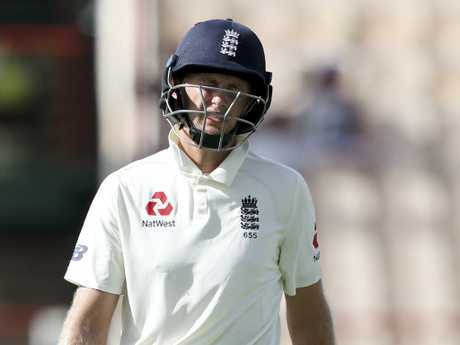 Fellow former Australian skipper Ian Chappell said England could solve a lot of their issues by shifting captain Joe Root, ranked the world's eighth best batsman, back to three. "Root deserves a kick up the backside," Chappell said. "He's the captain, and the biggest role of the captain is to lead. "They've got a major problem with number three, he's the best batsman in the side, so why doesn't he bat there? "When you're going into a series against a team like Australia, who has a strong pace bowling attack, and you haven't got a clue about two of your top three positions, that's a major problem. "They've got some players capable of changing the game in the middle order, but they'll have a lot more success coming in at 3-170 than 3-30 every time." Number-three ranked England have been under pressure following two crushing defeats at the hands of the world number eight West Indies. International cricket is live and on demand on Kayo Sports. Stream from $25 per month on two devices at once on Apple and Telstra TV, for Apple and Google Android smartphones, on web browsers and via Google Chromecast Ultra devices. Click here to trial it free for 14 days.